I was introduced to Cafe Rio a few years ago when visiting my mom in Utah. 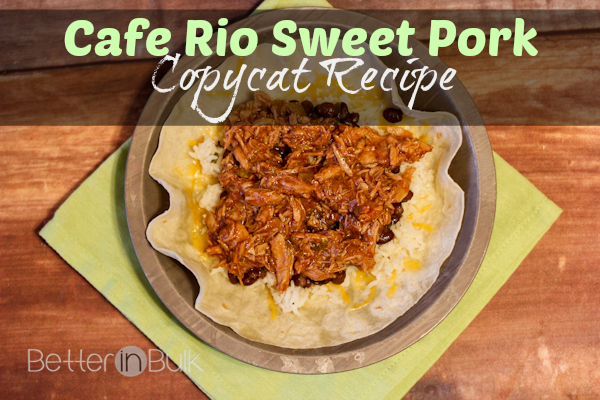 I don’t believe I’ve ever met a person who has gone to Cafe Rio who doesn’t absolutely love their sweet pork. 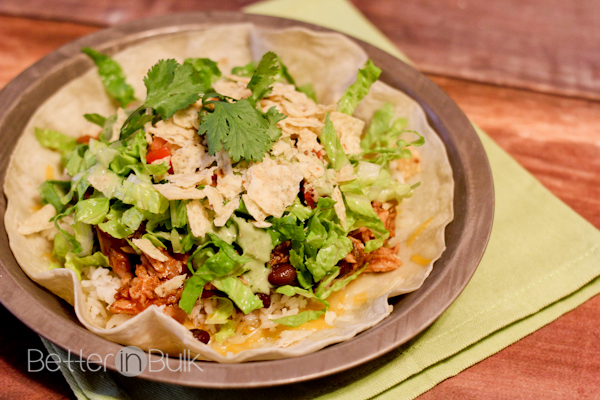 I was determined a few months ago to find a copycat recipe that satisfied my Cafe Rio cravings at home, and although I admit there’s still something extra special about eating this meal at Cafe Rio, this recipe definitely delivers. 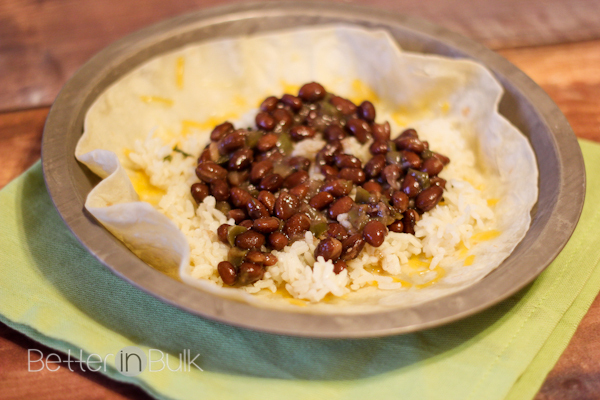 Cafe Rio copycat recipes abound on the internet…my version is based on this amazing recipe found at Favorite Family Recipes (they have a ton of incredible copycat recipes, by the way). Place the pork, ¼ cup brown sugar and one can of Coke in a heavy duty ziploc bag to marinate. Marinate in the fridge for several hours or overnight. Drain marinade and discard. Put pork, ½ can of Coke, water, and garlic salt in crock pot and cook on high for about 3-4 hours or on low for 8 hours. Remove pork from crock pot and drain liquid. Shred pork. 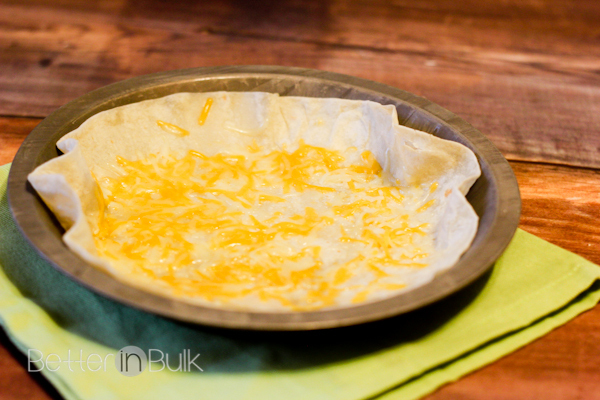 In a medium bowl, mix 1 can Coke, green chilies, enchilada sauce and 1 cup brown sugar. Add additional Coke if needed. Put shredded pork and sauce in crock pot and cook on low for 2 hours. Add meat to salad, burritos, tacos, etc. Once the meat is complete, I like to create a salad by melting some shredded cheese on a large flour tortilla, topping it with hot rice and beans, shredded lettuce, guacamole, pico de gallo, tortilla strips, and cilantro dressing (I have been raving over this creamy tomatillo dressing that I got years ago). Of course, the pork also tastes excellent on burritos and tacos. This looks super good, I have never had anything like this before. I definitely want to try this. Yum! I love Cafe Rio. It’s always a must when I visit my mom in Utah. Thanks for sharing the recipe!